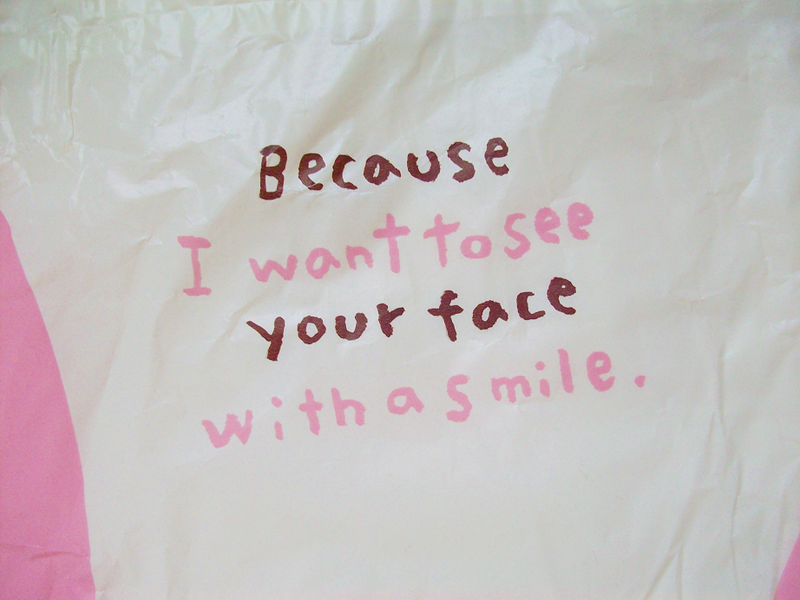 Today I have a really cute and fun post for you. It's on my first alpacasso/arpakasso! 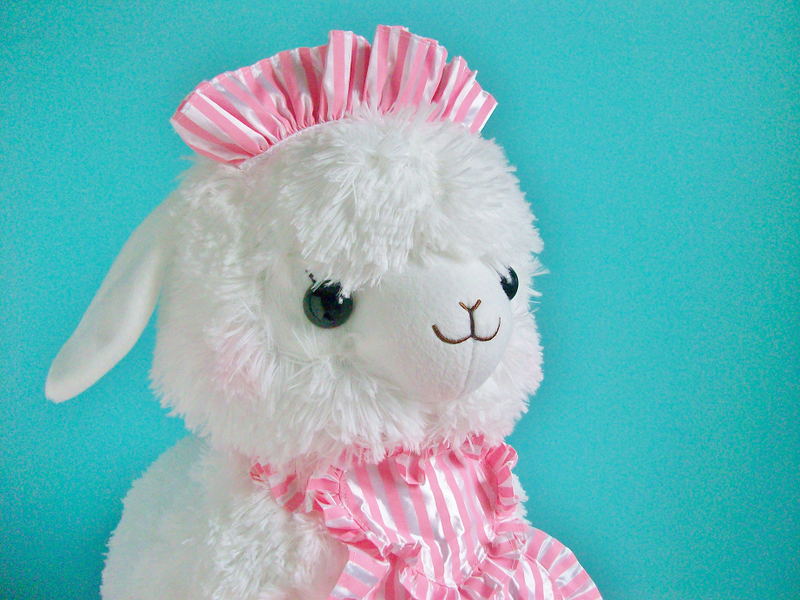 I've always wanted to adopt an alpacasso but they are kind of expensive for a plushie but I finally sucked it up and bought myself this one from Rosy's Garden on Storenvy. Rosy's Garden is highly recommend by a lot of alpacasso owner's because her alpacasso's are authentic and affordable, so I went ahead and purchased my alpacasso from her. 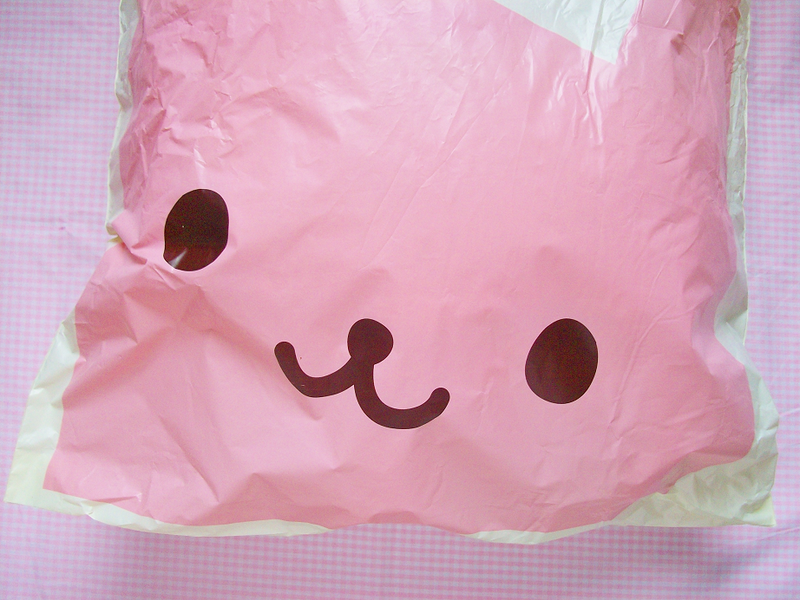 This is the first thing I saw when I opened the box, a cute pink bunny bag! 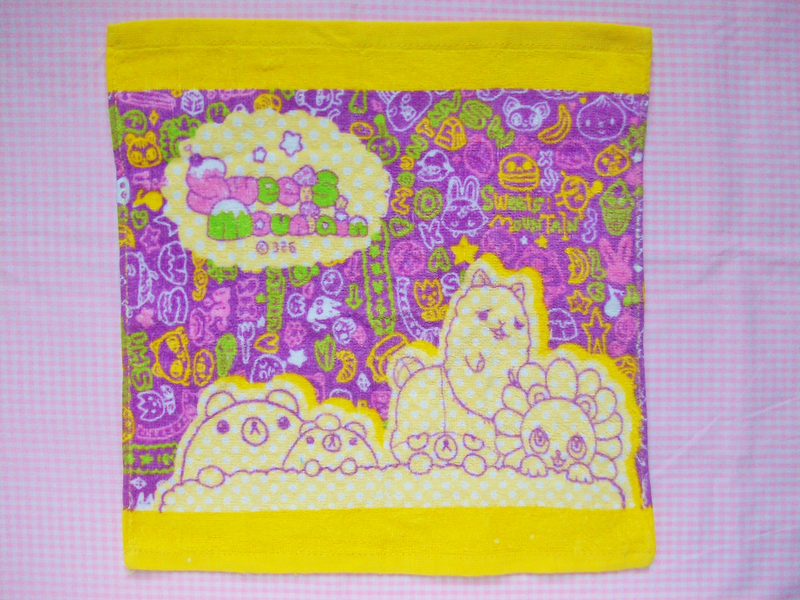 My alpacasso came tucked inside this adorable bag. 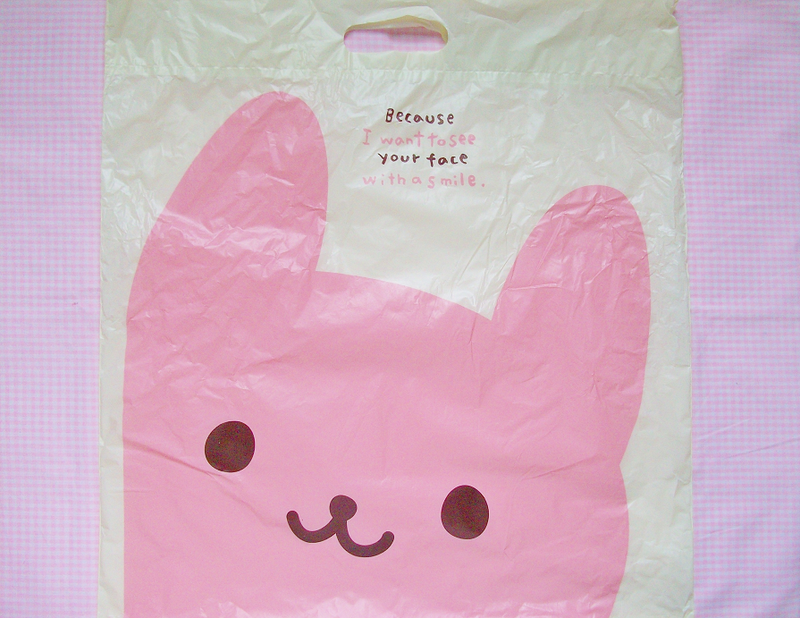 Here's more pictures of the bag, it's so cute I had to take pictures! Here she is! 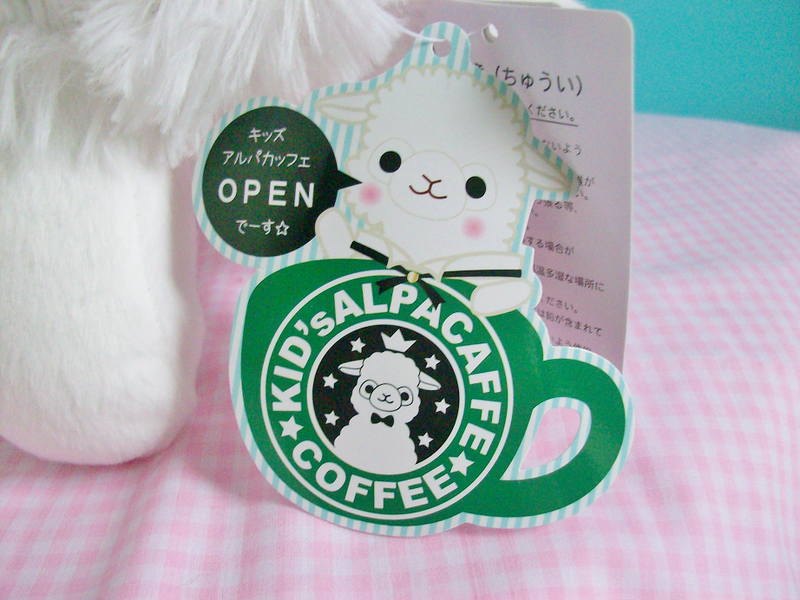 I got the Alpaca Kids Caffe Cafe Maid, I got the white maid and she is 36cm tall. She is so soft, big, and cute! She is bigger then I thought she would be (bigger then my Pinkie Pie from Build-A-Bear). 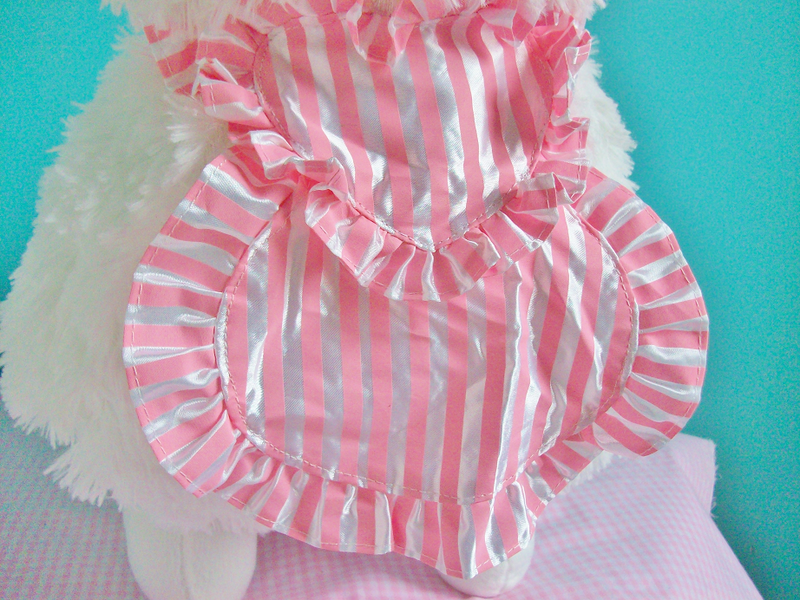 She also comes with a removable pink stripe maid's apron. 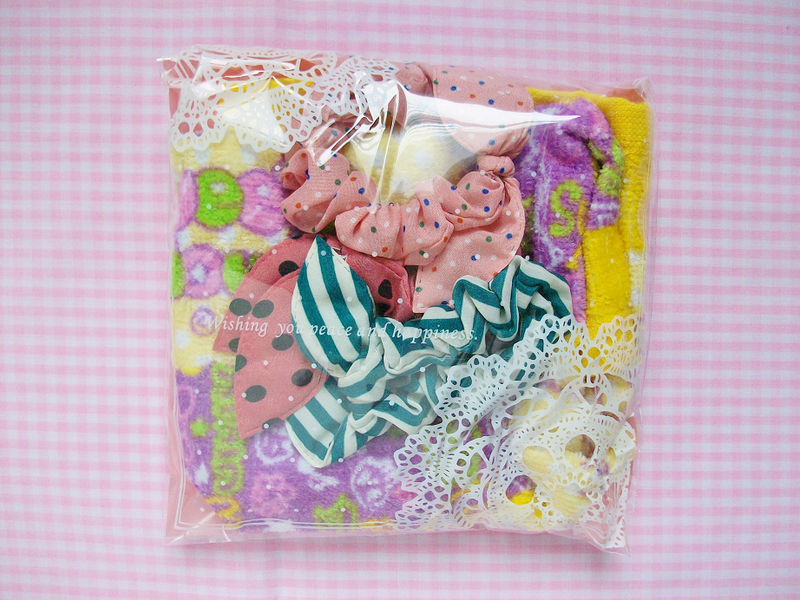 It comes with a tag so that you know it's an authentic alpacasso. 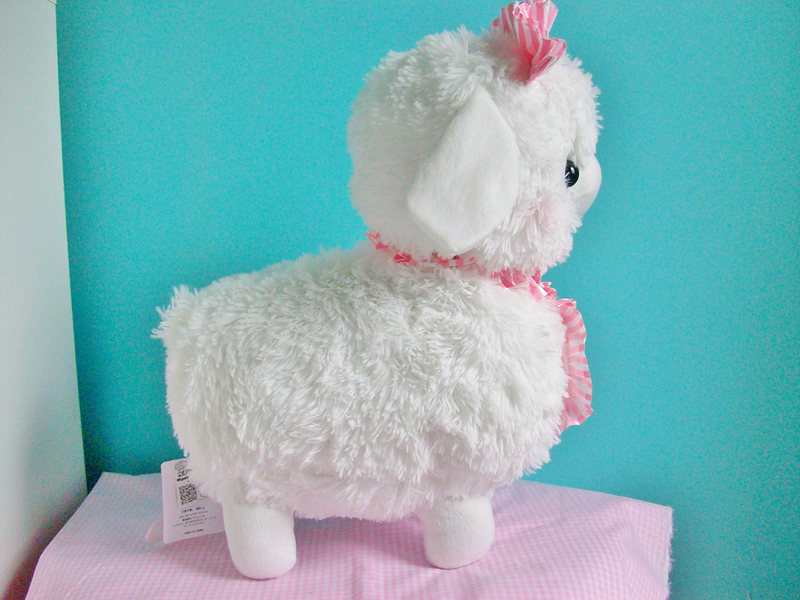 They're are so many fake alpacasso's online so I'm really glad to see that I got a real one. 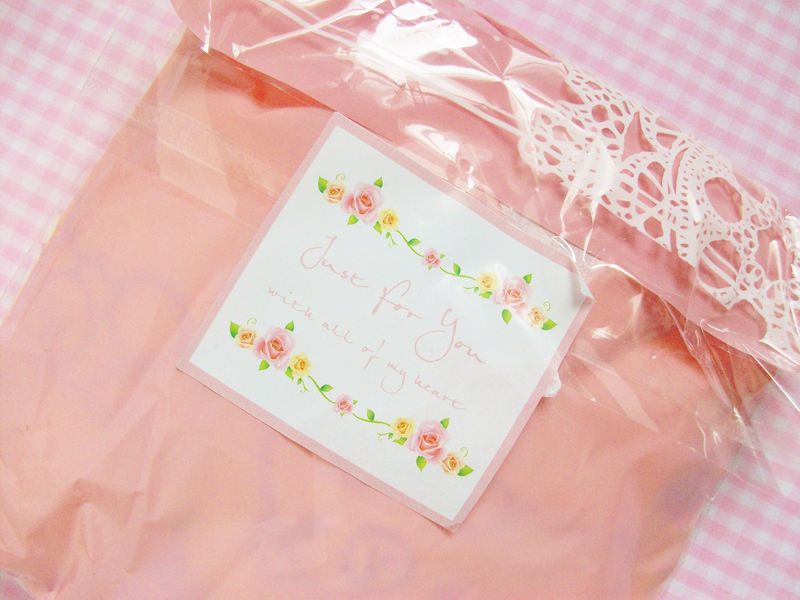 Rosy also sent this goodie bag full of extras! 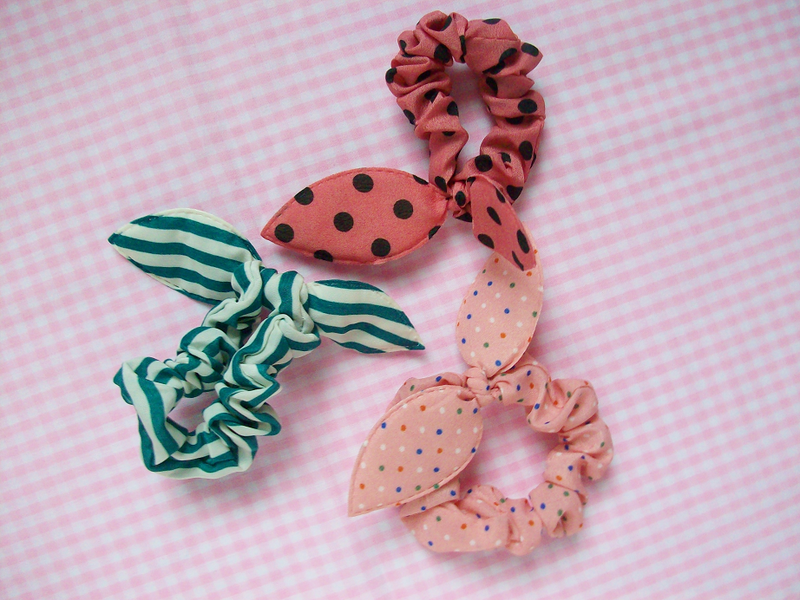 Inside the bag was a towel and three really cute scrunchies! Overall I'm really satisfied with my purchase. 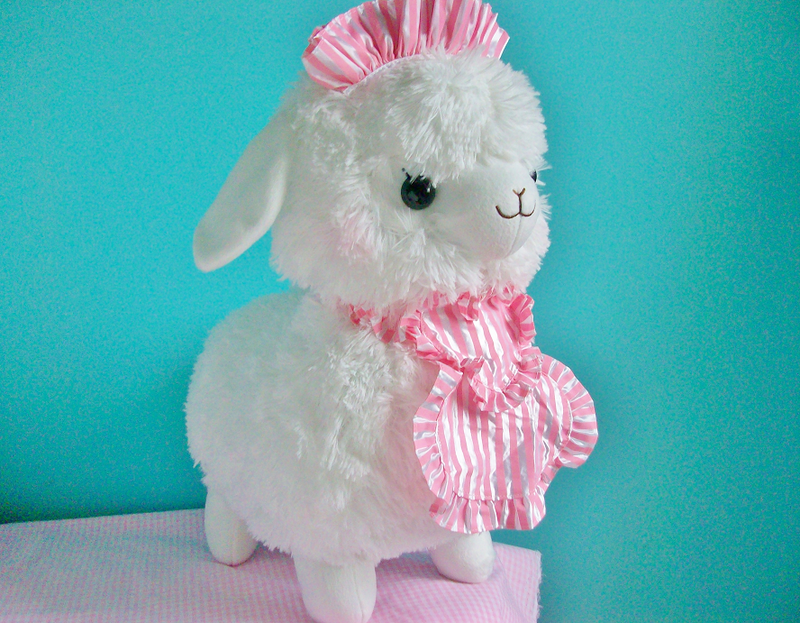 The alpacasso with shipping cost $48 which I think is totally worth it because she is a real alpacasso and is really big and also came with extra goodies! It took three weeks for the package to come in the mail, Rosy ships from Hong Kong. The box came beat up (but that was probably the postman's fault) but everything was safe inside. 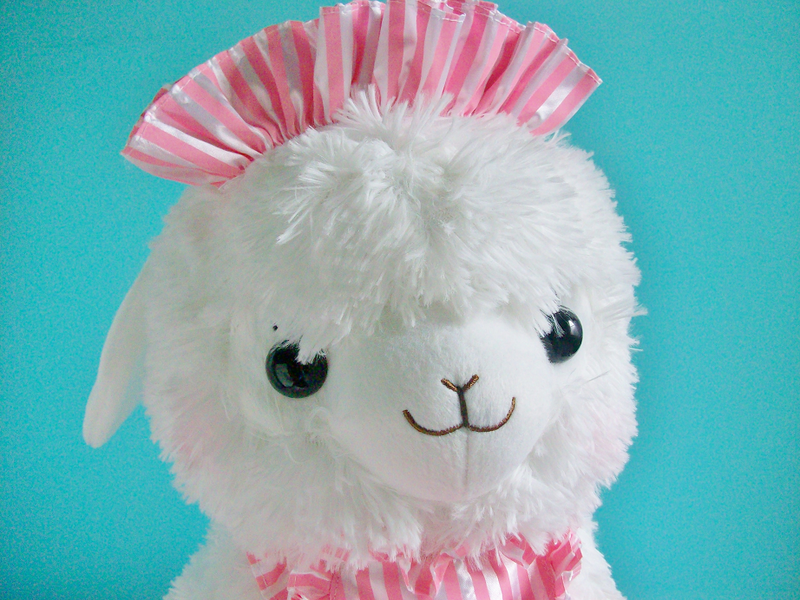 If you want your own alpacasso check out Rosy's storenvy and adopt an alpacasso!